Hey friends and family. Sorry that we were away from the blog for a few weeks. It's been crazy with projects, and other plans we are having towards the future of both the blog and our lives. Let me start by sharing how wonderful the picture above is. We went to visit family in Colorado, and oh my, every sight is literally to fall in love with. I will be writing a blog post about our visit and what we did during that week, but in the mean time, let me leave you with a couple of photos as a tease. Ah! It was wonderful to breath in the fresh air, hear nothing but nature around us, and to feel another season rather than Spring/Summer all year round. It was a great way to celebrate the beginning of Fall. What I was mostly excited about, was; being able to wear my scarves. It never really gets that cold in SoCal, and I have to confess I am crazy for scarves. It was fun for once, being able to wear them every day. I was a little sad when we came back, but we were only staying for a week. I have to believe it is quality time over quantity, but to be honest, I wished we could stay longer. I really enjoy the weather, the scenery, the people, it's all just very exciting. When we got back, we had to get to our normal routine. We went to get some groceries, and I think the sausage Gods were smiling at us. We found these delicious gifts from Chef Bruce Aidells. Since we eat nothing but organic or non-gmo, we were very happy to try these sausages. If you are into trying new things, and also enjoy eating organic food, please, please you must try these. Just make sure you are not allergic to the ingredients. You can have them in stroganoff, or in an omelette, or just by themselves. There is nothing, in the meat world, yummier than grilled sausages, in our opinion. We are definitely keeping this product in our grocery list. I think that as the time passes, we get the opportunity to see more brands going organic, which is great for us who try to keep on that strict diet. It is all a matter of patience and hopefully one day, when we own our farm, we can join in the revolution as well. For the moment, we share our little grain of sand, by growing some organic food in our tiny garden. Talking about which, things are looking interesting in the garden. After a weird heat wave starting the fall, many of our crops either got a bit dehydrated, or got a bit burned. The tomatoes for instance, were done for the season, so we removed them to make way for the greens we will be growing this winter, such as; kale, lettuce, chard, and more. Our basil is growing like crazy, and you know what that means? Pesto! Plus I really enjoy basil in my morning toast too. I usually have a kefir spread on a toast for breakfast and enjoy it even more when I add fresh basil leaves and a couple of slices of Kumato tomatoes. If you have Sprouts Farmer's Market in your home area, look for these brownish tomatoes, they are grown organically, and they are very flavorful. Believe me, after trying them for the first time, we have never gone without having them among our choice of tomatoes to eat. Last year, one of our three roses just died on us. It was a very fragrant "blue rose", which in reality is more like lilac color. Nonetheless, this week, it kind of grew again. Don't get me wrong, I don't mind at all, because this is one of my favorite roses. I was sad to see it gone, but once it came back I felt it as a sign of hope. It sounds strange to see it that way, but lately there were strange things happening that made us feel stuck; like we were not moving forward. I think this rose just became a symbol of rebirth, and I am very happy about it. I wish I could share the sweet smell of this beautiful rose. I truly believe we get blessed in our garden over and over again. I just wished it was bigger, so we could grow more things and share those blessings. Hopefully soon we'll own our farm and help feed delicious organic food to our community. I am also very excited about our mandarin oranges. This is the time of the year, in which our family tree in Mexico, grows literally tons of mandarins. Although we are not there to enjoy the fruit of that tree, we did find 13 mandarin oranges growing in our dwarf tree. Right now, they are still working their way into changing color. I just can't wait to try them! Some plants are coming and some are going, that's the fun about the end of a season and the start of another. However, it is also the time to harvest and gather seeds from those plants that have gone to bloom. Such are the chives, which are both delicious, and useful when distracting pests from other close by plants. Something awesome that I found recently while sorting out my closet, was a very special thing that I wanted very bad at some point, but because of things just happening in life, once I obtained it, it ended up in the closet waiting it's turn to catch my attention again. It's a 12 Hole Tenor Ocarina "Infinity" in black, from STLocarina.com. I definitely have to give them a huge shout-out, because their ocarinas are so inspiring. The fact that they sell learning material, plus show beautiful videos, really helps a ton if you are a newbie with the desire to learn a new instrument. The holidays are coming, so if you are thinking about a special and unique gift, you might want to consider them. I love collecting musical instruments, and since this is a small instrument that does not require batteries nor small pieces to be played, it is ideal to carry around if you feel like playing outdoors just for fun. I must say that I do not know how to play this instrument yet, but as others I have, it is just a matter of investing time to it, and letting my emotions take over. That always works for me. Do you like playing musical instruments? Do you know how to play one? I would love to know which. I believe music, as any other means of art, is a great way to learn discipline and to express yourself. What do you think about music? This week was pretty much about self-discovery. We found out that we need to focus on the beautiful things in life, practice more meditation, and try to live a stress-free life. We have been working towards that goal, and though it sounds easier than it is in reality, I think we are getting closer to the point in which we embrace that lifestyle and enjoy our lives even more. Stress brings so much negativity, and illness into people's lives, that it has become a priority for us to find ways to avoid it. As mentioned, meditation is a great way. I used to do Tai-chi, which is great for this too, and right now my husband practices Qui-Gong, which is also great to learn breathing techniques that you can apply when you are in a very stressful situation. It is true that sometimes there are things that are out of our control, as we've learned these past couple of weeks. The first step into solving a problem, is to identify it. Recognizing this is very hard, because it is easier to pretend we are okay and live in a bubble of deniability. I think we got tired of it, and we are just in pursue of true happiness, and once we get there, we would love to drag all of our friends and family with us, this includes our readers too. I know for sure that this week, we will have some fun goodies to watch, thanks to Allied Hispanic. We will be watching: Marvel's Captain America: Civil War and Disney's The Lion Guard: Unleash the Power. Reviews will be coming up soon. How about you? What fun activities have you prepared for this weekend? Please share with us, we would love to know. Do you have techniques to relax and de-stress after a crazy week? Oh please do share those as well. I know the whole Just Happiling community would benefit from sharing some tips. 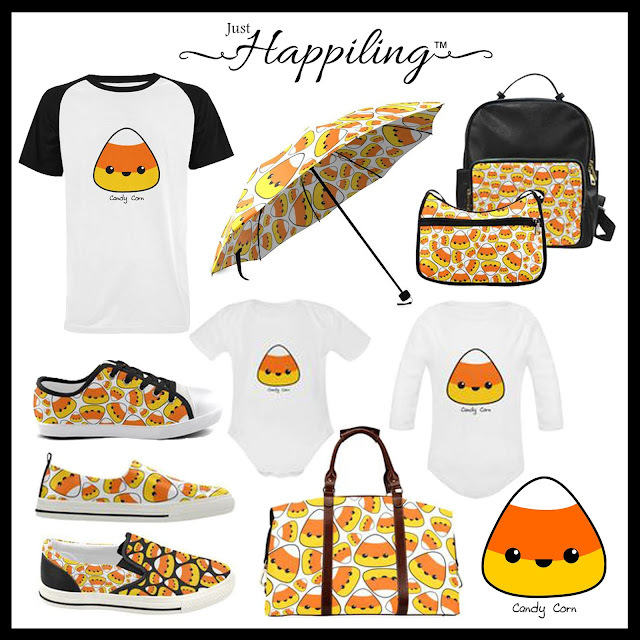 Regarding our Just Happiling product shops, we have some exciting things brewing, so keep an eye for our newest designs, and products added to the shop. Plus, there might be a giveaway coming soon in celebration of our newest art projects. If you like the products below, just click on the image to be taken to our shop, where you can buy them before these upcoming holidays, and thank you for your support. Don't forget to visit our Giveaway page for your chance to win great prizes. Subscribe to keep-up-to date, since we always have giveaways running. The more you enter, the higher your chances to win. For the moment, thank you for hanging with us for another week as we embark into our journey towards happiness. Disclaimer: We were not compensated to write this blog post in any way. However, there are links in this blog post, that lead to previous Just Happiling blog posts that were either sponsored, or where we got the product described for free for the purpose of writing that particular post. If such is the case, there will be a disclaimer in those posts for your awareness. There are no affiliate links in this blog post whatsoever.